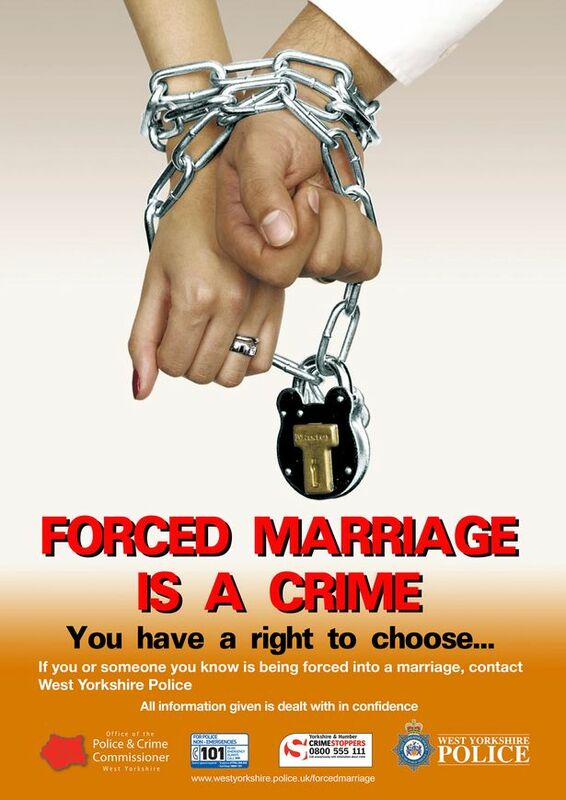 Women call for laws to fight forced marriage in U.S. Finally, when she turned 17, Mariam decided to leave home — an unthinkable act in her culture. With encouragement from a women’s rights group, she slipped out early one morning, taking a small bag. No shelter would accept her, because she had not been physically abused, and she felt wracked with guilt and loneliness. Eventually, though, she found housing, friends and a measure of emotional independence. Today, Mariam is active in a growing movement in the United States and Canada to promote public awareness and legal protections for victims of forced marriage. She visited Washington last week as part of a nationwide tour organized by the Tahirih Justice Center, a legal aid and advocacy group in the Virginia suburbs that helps immigrant women facing abuse. One day in March 2011, Fraidy Reiss went to her lawyer’s office to close on a house. The prosaic routine of paperwork somehow diminished her sense of accomplishment. Not even the seller was present to hear what she yearned to say. She was only buying a small patch of lawn in a blue-collar neighbourhood. Yet she and her two daughters had already named the place “Palais de Triomphe,” palace of triumph. The house symbolized her liberation from an arranged marriage, threats of violence at the hands of her estranged husband, and indeed the entire insular community of stringently Orthodox Jews among whom she had spent her entire life. In that moment of emancipation, Reiss also felt the sudden, unbidden summons of obligation. “The house meant that I’ve gotten to the other side,” she recalled. “I wanted to do something to give back. I wanted to use my pain to help others in the same situation. And, selfishly, I thought that would help me heal.” Four years later, on a blustery morning early this month, Reiss, 40, stood in a classroom at Rutgers University in Newark telling her story to three dozen lawyers. She spoke with well-practiced pacing and emphasis – childhood in Brooklyn, coerced betrothal in her teens to a man she barely knew, and then the harassment and stalking and death threats, all of it documented in court papers. Finally, there was college and therapy and, after 15 years of marriage, divorce. WOMEN’S EVENTS for INTERNATIONAL WOMEN’S DAY – Making It Happen…. International Women’s Day celebrates women’s achievements throughout history and across nations. The theme, ‘Make It Happen’, seeks to recognise the social, political and economic advancements of women, while highlighting areas that still need to be addressed. Its aim is to raise awareness locally and to engage with women and families in the Teesside area and offer women, and particularly young women, true equality of opportunity. Yasmin Khan, Citizen of the Year and HALO Project Director, Judge Gillian Matthews, Jane Atkinson, Vice President SembCorp Utilities, Carli-Jayne McNaught, Olde Young Tea House and winner of Nation’s Favourite Independent Business, Lucie Fleming, Asylum & Refugee Activist, Justice FirstPlus a possible special guest! A recent study indicated that nearly all Muslim women in the country have had the procedure. But now the United Nations is working with the Committee to repeal ruling that made it mandatory. Government health officials who are in negotiations with Malaysia’s National Fatwa Committee say the ruling by the country’s top religious authority requiring female genital cutting for all Muslim women may be overturned. The World Health Organization defines any type of invasive procedure in the female genital area as mutilation, and subdivides practices into four types of increasing severity. It has banned them all. You are currently browsing the halo project blog blog archives for March, 2015.